. Or . Data Glasses | . Or . 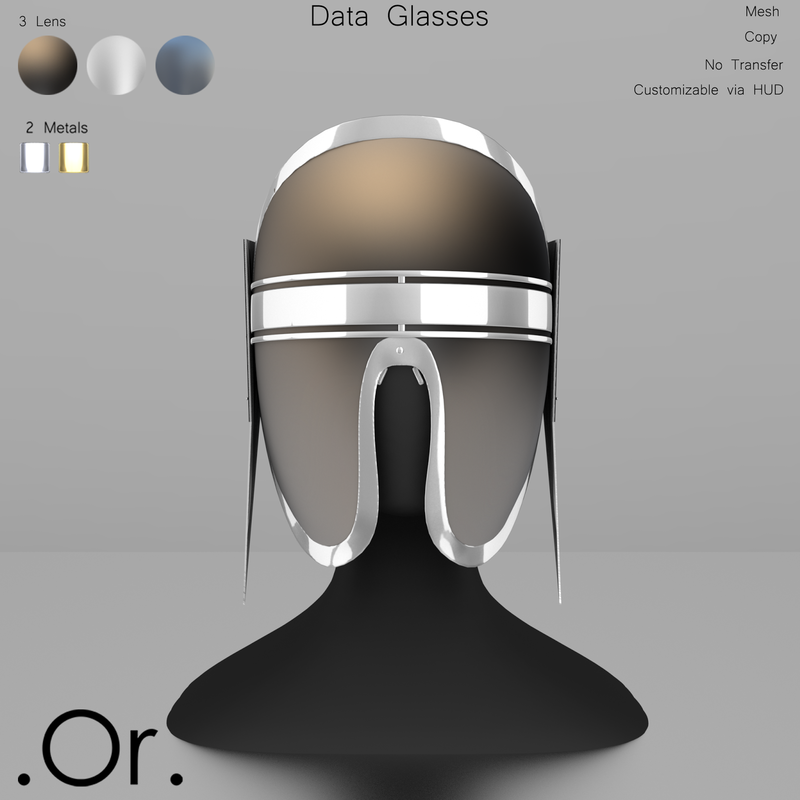 The Data Glasses are an original mesh creation by . Or . They are copy/no transfer and modifiable via the enclosed HUD. The lens has 3 different variations and there are 2 choices of metals. The Bright and the Shiny of each of those parts can be activated separatly. Resize is adjustable with axis option.